ITEM NUMBER A582. VW T1 BEETLE, 1200cc, 1300cc 1500cc & 1600cc. A NEW FUEL TANK SENDER UNIT. FROM 1968 TO 1979. 1 x SENDER UNIT INCLUDING THE SEAL & BOLTS. (NOT 1302 OR 1303 MODELS ). Removed from a 1996 2.4 d t4. T4 had only done 108k and sender was working when removed. ITEM NUMBER A656. VW T25 TRANSPORTER, CAMPER OR VAN. A NEW FUEL TANK SENDER UNIT. 1 x SENDER UNIT & THE SEAL. 03.87 - 07.92. AS SHOWN IN THE PICTURE. 03.87 - 12.92. PART NUMBER:N/A. collect the item yourself. Cash on collection is also available. PART NUMBER - 7L6919679C 7L6919679B. VW TOUAREG 5.0 TDI. VW TOUAREG 2005 5.0 TDI V10. TANK FUEL SENDER UNIT. NS is Nearside, Left, or the passenger side in the UK. OS is offside, right, or drivers side in the U K.
AUDI TTS 8S S3 8V VW GOLF MK7 R 2.0 TFSI. REMOVED FROM AUDI TTS 2016 2.0 TFSI CJX 17116 MILEAGE DSG AUTOMATIC GEARBOX RGE IN BLUE NR2. FUEL PUMP IN TANK. FITTING SERVICE AVAILABLE - IF THE PART IS FITTED BY US THERE IS 1 MONTH WARRANTY. 3AA919050K / 3AA919050L. Volkswagen CC - 2012>2017. 100% Genuine VAG Products. Engine Size: 1.2 Petrol Manual BMD. Model: POLO. Year: 2007. ALSO CAN BE COLLECTED FROM UB7 AREA. This part is removed from following vehicle. Electrical fuel sender for all 1968 to 1979 Beetles except the 1302 and 1303 models. 1.9 Diesel - In good working order - Part Number 701919051J. T4 SWB 1.9 Diesel Manual. Fuel Sending Unit (Only). This part was removed from a Right Hand Drive Vehicle. Compatibility is a guide only. PART NUMBER: 3C0919050C. 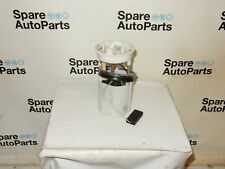 VW PASSAT B6 1.9 TDI ENGINE BXE 2005-2010 IN TANK PUMP FUEL SENDER UNIT. ENGINE:1.9 DIESEL 105 BHP CODE: BXE. MODEL: PASSAT B6 1.9 TDI. Cash only if collected in person! Do not relay on it. The New and Used VW Parts Specialist for all VW models worldwide. VW Part Number: 2K0 919 050 L. It may fit others. VE523042 Fuel Feed Unit fits AUDI SEAT VW SKODA VE523042 Fuel Feed Unit fits AUDI SEAT VW SKODA. NOTE1 : Part Number - VE523042. > Throttle Bodies. The range includes > Air Mass Sensors. > ABS Sensors. Multiple choices exist for:VW CADDY 2.0 Fuel Pump Sender. FOR VW CADDY IV. Fitting Position:in fuel tank. This is an original quality part manufactured by Bosch. Vehicle compatibility. PART CHOICE ALERT. SKODA CITIGO. FUEL SENDER UNIT. GENUINE NEW. ISLE of MAN / WIGHT. ALL ZE CODES. PH4 - 41, 49 - 50. PA20 - 38, 41 - 49, 60 - 78. IV1 - 28, 30 - 32, 36 - 48, 51 - 56, 63. Colour: BLUE LA5K. Model: POLO. ALL OF OUR PARTS ARE USED PARTS! Classic VW Beetle Fuel Gauge Stabiliser 1968- Also fits Camper / Bus 73-79. "If your fuel gauge if misreading on your late Bug or late Bay Window, then the fault could be the Fuel Gauge Stabiliser. Always worth checking first before simply replacing the expensive sender unit or fuel gauge. VW PASSAT B7 2005 - 2015 B6 FACELIFT IN TANK FUEL PUMP SENDER UNIT A2C53302851 VIEW ALL IMAGES FOR ITEM CONDITION - PLEASE ENSURE YOU ARE 100% HAPPY WITH THE ITEM CONDITION PRIOR TO PURCHASE *PLEASE NOTE*: THE COMPATIBILITY TABLE IS FOR REFERENCE ONLY AND NOT A GUARANTEE THE PART WILL FIT YOUR VEHICLE. IF YOU'RE IN DOUBT SPEAK WITH YOUR MECHANIC AND COMPARE THE PART NUMBER (WHERE APPLICABLE) OR CONTACT US BEFORE YOU ORDER TO AVOID UNNECESSARY RETURNS IN THE INSTANCE OF A RETURN - PLEASE BE AWARE ALL OUR ITEMS HAVE THIER OWN SIGNATURE MARKINGS - PLEASE ENSURE ONLY THE ORIGINAL PART IS RETURNED AS WE WILL BE ABLE TO IDENTIFY ANY PART THAT IS NOT OURS. FOR VW SCIROCCO II. This is an original quality part manufactured by Lucas. Fitting Position:in fuel tank. Vehicle compatibility. Manufacturer Restriction:BLUE TOP. Part specifications. VW Polo MK2 1.0 Pierburg Carburettor. Condition is Used. Dispatched with Royal Mail 2nd Class. Or collection. PASSAT MK 6 SALOON (B6). 2.0 TDI 16V. 2.0 TDI 16V 4motion. 2.0 TDI 4motion. 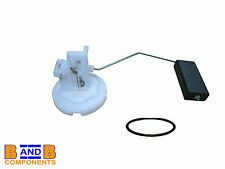 Product : FUEL PUMP. PASSAT CC SALOON. PASSAT MK 6 ESTATE (B6). OEM Part Number. FOR SALE IS A USED BUT GOOD USABLE CONDITION GENUINE IN TANK FUEL SENDER REMOVED FROM A VW GOLF MK2. MAY FIT OTHER MODELS IN VW AUDI GROUP. ALTHOUGH PANELS ARE ALL BUBBLE WRAPPED AND WRAPPED IN CARDBOARD. Part No : 7E0919050F / 0580203229. VW TRANSPORTER T6 2017 2.0 TDI DIESEL. DIESEL TANK FUEL SENDER UNIT. You are signing to say you have received the item(s) in good condition. FOR VW CADDY III. Fitting Position:in fuel tank. This is an original quality part manufactured by Bosch. Vehicle compatibility. Part specifications. > 1J0 919 051 H. VW GOLF/BORA Mk4 1.4 / 1.6 16v 1998/04'. TO FIT VW GOLF/BORA Mk4 1.4 / 1.6 16v 1998/04'. GENUINE FUEL PUMP SENDER UNIT. 1x GENUINE. The Generation of VAG Cars between 1982 up to 2004 is what we love and Specialize in most and have a good understanding all models throughout this era. Reference OE/OEM Number: 3B0919051C / 3B0919051B / 8E0919051A / 8E0906087F / 3B0 919 051 C / 3B0 919 051 B / 8E0 919 051 A / 8E0 906 087 F. Condition: New. Important item compatibility information. MPN: 110852756. VW PASSAT Variant 1.8 02.1988-05.1997 66 90 1781. VW PASSAT Variant 1.8 04.1988-07.1992 82 112 1781. VW PASSAT Variant 1.8 04.1988-07.1990 79 107 1781. VW PASSAT 1.8 02.1988-08.1996 66 90 1781. VW PASSAT 1.8 04.1988-07.1992 82 112 1781. 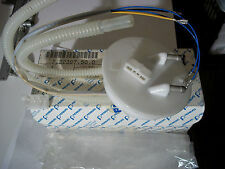 This item is brand new still in box This is a fuel sender unit for a VW Sharan blue motion 2012 model. The fuel sender unit tells your fuel gage when you need to fill up on fuel. 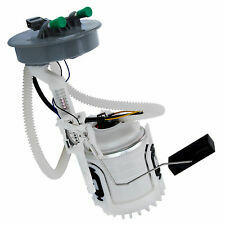 BXE BLS BKP BKD ENGINE INTANK FUEL PUMP SENDER UNIT. 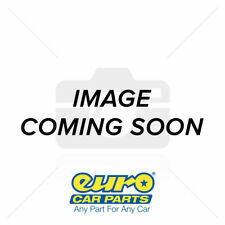 GENUINE AUDI VW SKODA SEAT 2004-20101.9 TDI 2.0 TDI DIESEL. GLASS AND BODY PANELS. YOUR VEHICLE BY MATCHING PART NUMBERS ON YOUR ITEM WITH. PART NUMBERS: 1K0 919 050 J. 7L6919673B - 7L6 919 673B. Touareg Diesel 2003 - 2010 . 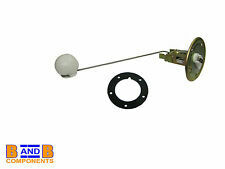 This is aleft / UK passengers side fuel tank float sender unit for the following cars This is a new,genuine VW part. Part number. Alternative part numbers. This is a Petrol tank sender unit. VE523003 Fuel Feed Unit fits AUDI SEAT VW SKODA VE523003 Fuel Feed Unit fits AUDI SEAT VW SKODA. NOTE1 : Part Number - VE523003. > Throttle Bodies. The range includes > Air Mass Sensors. > ABS Sensors. IT IS THE FUEL GAUGE SENDER UNIT THAT FITS IN THE FUEL TANK. RRP £70.73 FROM VW. Part Number: 6K9919183C. VW CADDY MK1 1.9 SDI AYQ. Part is taken out from VW CADDY MK1 Reg. TANK FUEL PUMP IN TANK SENDER. See in Pics. confirm yourself that the item is what you require. 7N0919050J / 7N0 919 050 J. SHARAN (7N) model years 2016 >> onwards. DIESEL FUEL SENDER PUMP UNIT. New genuine VW part! Scottish offshore & Highlands, HS1-HS9, IV41-IV56, KA27-KA28, KW15-KW17, PA20, PA41-PA49, PA62-PA76, PH42-PH44, ZE1-ZE3, AB41, FK19-FK21, IV1-IV20, IV25, IV30, IV37, IV63, PA21-PA35, PA37-PA39, PH15-PH26, PH49-PH50, AB37-AB38, IV21-IV24, IV26-IV28, IV40, IV52-IV54, KW1-KW14, PA36, PA40, PH30-PH43, GY9.